The Moab Brewery has been brewing great beer in Moab since 1996. 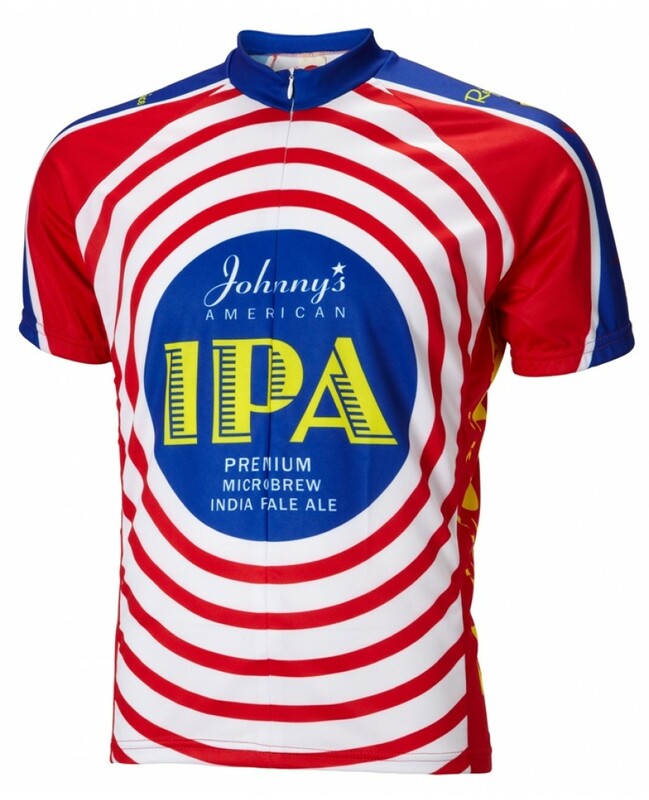 They have some great bicycle related beer labels! And now this beautiful art is available on a bicycle jersey! After a long ride through Moab grab an ice cold Moab Brew! An American style IPA, golden in color with light malt hues and strong hop characteristics. Its vibrant citrus aromas and bitterness are created by four bold American hops. Our dry hopping gives this beer that distinctive and aggressive hop finish. Put some hops in your step! 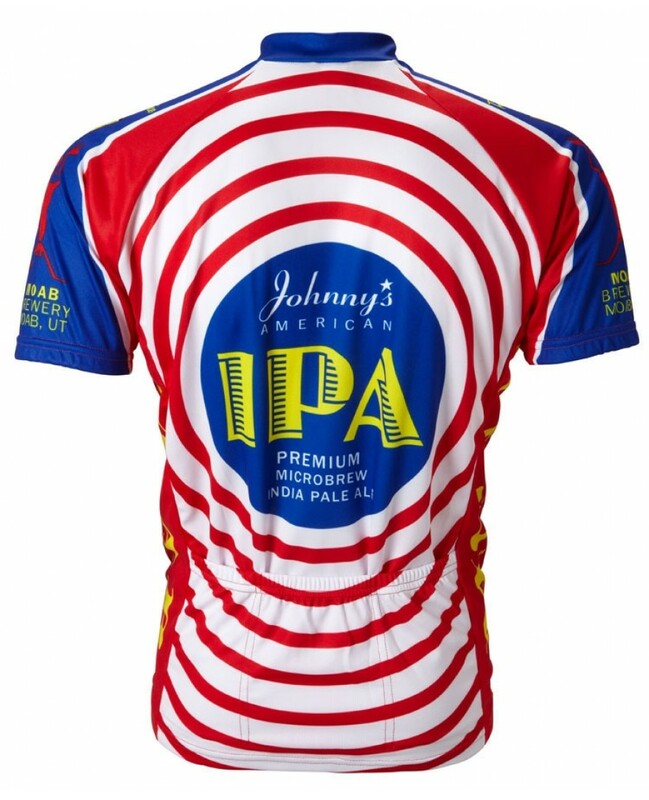 The Moab Brewery Johnny’s IPA Men’s Cycling Jersey is made from 100% Polyester DrySport(tm) wicking fabric to effectively move moisture away from your skin to keep you cool and collected. Since our jerseys are made to look as good as they feel we hide the 15″ zipper to keep the pattern clean and elegant.